If you are looking for a mobile mechanic Irving to come to you and repair your vehicle, you have come to the right place because Mobile Mechanic Pros is undisputed the best in the business! But do not take our word instead watch our customer testimonial videos. Avoid the hassles of dropping your off our car and being overcharged by BIG auto shops. Instead of wasting time and money call mobile car repair Irving a business build on delivering convenience at affordable prices. Quick Roadside Service! Stuck on the road? If you are running out of time to reach your destination, Mobile car repair Irving will get your car back to normal once again with our excellent roadside repair service, which will make your car work again for the least possible time. Reliable Used Car Pre-Purchase Inspection! Aside from car repair and maintenance, Mobile Car Repair Irving also offers guidance in buying a used car. If you are planning to buy a second-hand car, we can inspect the vehicle first and provide you a detailed report that will help you decide whether to buy the car or not! We come to YOU! 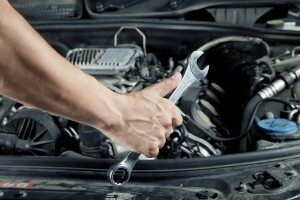 Mobile auto repair Irving we come to you and pass the savings of not having an expensive retail space on to you. It is a win win for both of us.